CALL FOR DETAILS OF LATEST VERSION OF THIS MODEL. PAY FOR YOUR JURA ONLINE BY DEBIT CARD GET 3% CASH BACK REFUNDED TO YOUR CARD! OR ORDER BY EMAIL OR PHONE USING BACS, CHEQUE OR DEBIT CARD AND GET 3% OFF THAT WAY! This is the machine which has dominated mid-use commercial bean to cup machines, the X9 superseeds this machine but the X7 has mostly the same components and will make the same quality coffee, excellent. This machine didn't need improving but they managed to do it anyway with the X9, the X7 is still a marvellous machine. Latte Production - The older X7 model does not have a as sophisticated frothing head design as the new X9 which means while it can make lattes it cant make layered lattes. This is because the X7s frothing device can only froth the milk automatically where as the X9 can switch between frothing and just steaming the milk allowing it to make the drink properly. 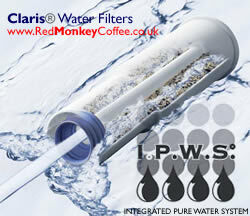 This does not effect the coffe output and both machines can be used manually to achieve every frothing/steam result. Older Design - Generaly the X9 compared to the X7 is a much more advanced machine, from the grinders to the technical design, its looks build and everything have been updated, if budget allows we would recommend the X9 over the X7 but at the same time the base coffee produced will be very similar and of a high quality from both models. 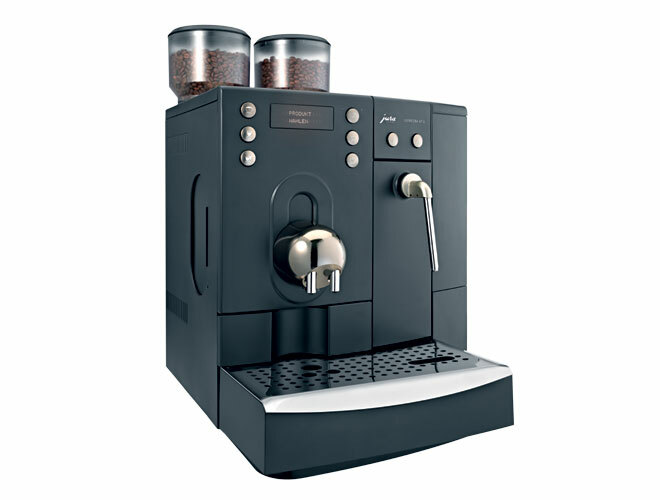 The Jura Impressa commercial range of bean to cup coffee systems are characterised both by there advanced technology and its user-friendly operation. This machine is sophisticated and simple to use, it can be plumbed into the mains if required but does not require mains water if not available so the machine can be setup anywhere, no technician or training is needed. The instructions are simple and easy to follow, the results are amazing, your own swiss engineered robotic barista. Suitable Use: office, bar, restaurant, hairdressers, conferences & seminars, car showroom, meeting rooms, receptions and there is no reason why you cant have it in your home!. Note: This machine is not suitable for coffee shops, it is not intended nor would the warranty cover it for constant heavy commercial use every day, if you require a machine for over 120 cups per day we would recommend a manual espresso machine. All the machines can be used to whatever level you wish and there is no reason why they would not handle it but if a fault occurred the warranty may be invalid which would mean the repair would be chargeable, the machines log the number of cups produced. The height can slide between 60mm and 155 mm(thats higher than the newer X9). This permits adjustment to different cup heights to a glass for Irish coffee. The crema is preserved and no coffee splashes onto the appliance. Coffee specialities at a touch of a button without moving your cup, including milk & froth! Three different coffee varieties are available at the push of a button. The coffee strength, water volume and temperature can be set individually for each server key to suit your personal preferences. 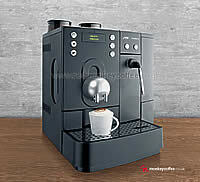 The machine makes popular coffees such as cappuccino & latte without needing to shift cups around. A advance to the innovation of the Auto-Cappuccino function which draws milk from a milk container meaning no need for frothing in jugs. The big display dialog system (2 lines of 12 characters) gives user- supportive and user-friendly information. Optionally in seven different languages. Integrated rinsing, cleaning and decalcifying programs turn maintenance into childs play. Thanks to the two high-performance conical grinders, you can assign either one of the grinders or your personal blend from both of the grinders to the product keys. The separate bean tanks have an elegant, semi-transparent design and hold 280g each. You can program your personal blend of beans from each container entirely according to your preference. Programming can be effected easily on the hinged programming field. The desired coffee strength and water volume for each server key can be set fast and simply to suit your preferences and cup size. Program the on and off times for the desired water portion. Easy to use manual guides you through this. The factory default settings means you can of course just plug it in and go no setup necessary but programming is available if needed. A second separate heating system for hot water and steam ensures steam and hot water readiness at all times. Individually programmable steam or hot water portions e.g. for tea. Available at the push of a button.. Hot water portions for tea, hot chocolate or any hot water based drink. The Impressa X7 offers three different integrated cleaning programs: a coffee sector cleaning, auto cappuccino cleaning and combined cleaning programs. Also de-scaling programs. Red Monkey Coffee has broken it down for you so you can see exactly what extra you get on each model & what is the standard, remember its also the look, design and style of the machine which is one of the biggest differences, the X7 has a classic design and has a luxury look. The X7's Unique Features or higher specs [higher specs in bold] not found on the XF70 but found on the X9. email or call us on 0800 321 3357 for advice & ordering. Free 3 Kgs of different Red Monkey Coffees, our own quality fresh roasted coffees, not like other cheap stuff, you, your collegues & your customers will appriciate it! Dont like these free extras? No problem, give us a call 0870 207 4831 or email and apart from the delivery we can change any items for whatever you want upto the same value, all part of Red Monkey Coffee's service. Plus pay by DEBIT CARD, Cheque or BACS & get an extra 2Kg of coffee or £30 extra credit to apply to accessories!